As part of a new global initiative, the NCSEHE hosted an event at Curtin University, Perth WA, engaging national and international stakeholders to positively impact worldwide equitable access to higher education. World Access to Higher Education Day (WAHED), led by the National Education Opportunities Network (NEON), and supported by NCUK, networked multiple conferences globally to focus the attention of stakeholders from across the world on the issues of access and diversity in higher education. 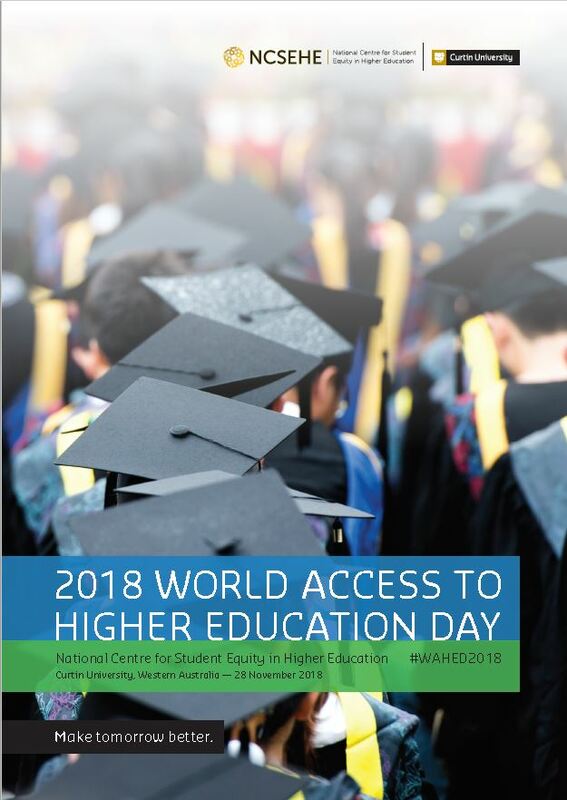 The NCSEHE was proud to represent Australia for the inaugural WAHED, positioning Australian advances in student equity research, policy and practice within an international context. articulate ‘access to higher education’ as including the completion of quality higher education and progression into post-higher education study/work for learners from underrepresented groups. A network of international conferences occurring on WAHED 2018 — Worldwide organisations/institutions will host events on WAHED 2018. Worldwide ‘access & diversity slam’ — Individual countries will showcase innovative access and diversity activities in their own countries. Global student voices campaign — Bringing together the voices of students from diverse communities and their stories from across the world. Launch of the Global Higher Education Access & Diversity Consortium — It is envisaged such a consortium will focus in particular on building the evidence base and using this to advocate for change and driving forward innovation in practice.